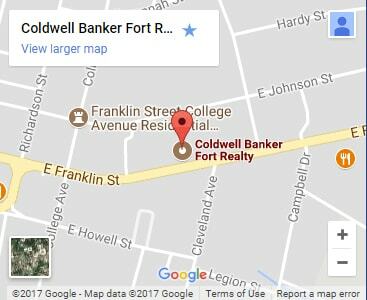 Coldwell Banker Fort Realty was established in 2001. 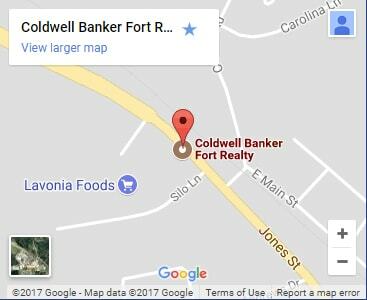 We have two locations and agents with a total of over 250 years of experience helping buyers and sellers with their real estate needs. We will provide a competitive market analysis to put your property on the market at the best possible price. We are members of GA MLS and Western Upstate MLS and with the Georgia Upstate Lakes Board of Realtors. In addition to being advertised on the Coldwell Banker website, your property will be featured on a number of leading real estate websites such as Realtor.com, Homes.com, Homefinder.com, Trulia.com and Zillow.com. The following is from the book “History of the Savannah District, 1829 – 1989” by Henry E. Barber and Allen R. Gann, published by the U.S. Army Corps of Engineers, Savannah District, 1989, pp. 434 – 442. Please note that some changes have been added to the below information to bring it up to date – these changes are in italics. This book is available for checkout at a number of local libraries. The Flood Control Act of 17 May 1950 authorized the Hartwell Dam and Reservoir as the second unit in the comprehensive development of the Savannah River Basin. The estimated cost was $68.4 million based on 1948 price levels and preliminary designs. The original project provided for a gravity-type concrete dam 2,415 feet long with earth embankments at either end, which would be 6,050 feet long on the Georgia side and 3,935 feet long on the South Carolina side. The 12,400-foot-long dam was to be topped with a roadway 24 feet wide. The main dam was to consist of two nonoverflow concrete sections on the right and left banks 887 feet and 940 feet long, respectively; a gravity-type concrete spillway 588 feet long equipped with 12 tainter gates 26 feet by 40 feet in the channel; and a powerhouse on the South Carolina side of the river.45 Full power pool was designed to be 660 feet above mean sea level. At this elevation, the reservoir would extend 7.1 miles up the Savannah River to the confluence of the Tugaloo and Seneca Rivers; 41 miles up the Tugaloo to within approximately 2 miles of the existing Yonah Dam; 27 miles up the Seneca to the mouth of the Little River, South Carolina; 2 miles up the Little River to the Newry site; and 7 miles up the Keowee to the Old Pickens site. The reservoir would cover 56,500 acres and would involve the relocation of 3 sections of railroad totaling 2 miles, the raising of 2 railroad bridges, construction of 6 sections of new state high- ways totaling 19.6 miles and 9 sections of county roads totaling 12.7 miles, the construction of 9 new bridges and the raising of 4 existing bridges, and the relocation of 2 power transmission lines. As construction of the dam got under way, the specifications changed from time to time. The length of the concrete portions of the structure was reduced to 1,900 feet, the roadway was removed from atop the dam and made to cross the river just below the dam site, the size of the tainter gates was increased from 26 feet by 40 feet to 35.5 feet by 40 feet, and the Powerhouse was relocated from the South Carolina to the Georgia side of the river. Periodically, construction costs were revised upward to a final figure of almost $90 million. The first appropriations for construction were made on 15 July 1955, and the first major contract was awarded 14 October 1955 for construction of the earth embankments. Filling of the reservoir began in February 1961 and was completed in March 1962. When the dam was constructed, 5 penstocks were provided for the installation of four 66,000-kilowatt generating units and a future 80,000-kilowatt unit. The fifth unit was completed in 1985, bringing the total generating capacity to 344,000 kilowatts (a “rehab” of units 1 – 4 took place from 1997 – 2000. This increased the total generating capacity to 422,000 kilowatts). The Hartwell project has provided not only electricity for municipalities and electric cooperatives but also an ample water supply for industry and domestic use. Power is sold through the Southeastern Power Administration (SEPA) to private power companies and public cooperatives. From 1962, when power was put on line, through September 1988 SEPA paid the Corps $118,485,133 for power. The total cost of the Hartwell Project was $89,240,000 (in 1963). In addition to power production, 5 feet of storage above the maximum power pool has been reserved for flood control. This feature at Hartwell, along with that at Clark Hill (Clark Hill was renamed J. Strom Thurmond in 1987), reduced flood damage in the areas downstream by an estimated $363,000 annually. Hartwell alone prevented an estimated $9.47 million in flood damages through the regulation of flood flows from 1962 through FY 1987 (from 1962 – 2000, Hartwell Dam prevented $13.7 million in flood damages). The combined control by the Hartwell and Clark Hill multipurpose projects permitted the use of some of the earlier undeveloped lowlands below Augusta for agriculture and also allowed extensive development in the low areas of Augusta. Flow regulation at Hartwell also increased the dependable production of power at Clark Hill and benefited navigation by increasing the minimum streamflow below Augusta. Water released through the turbines as power is generated at Hartwell and provides adequate regulation of flow in the river below the dam to benefit fish and wildlife, to aid navigation below Augusta, and to increase the dependable power at Clark Hill. The large lake created by the impounded waters at Hartwell has been used extensively for recreation. The number of visitors to the project has increased regularly from about 750,000 in 1962 to 9.6 million during 2000. This ranked Hartwell third of the ten most popular Corps projects in the nation. The Corps has developed 61 public-use areas in addition to recreational facilities provided by private club and quasi-public groups. The Hartwell Lakeshore Management Plan was initially approved in 1979 after more than 4 years of work by Corps personnel, 4 public meetings, and a congressional hearing. This plan for the orderly development of the lake's shoreline serves to protect and manage the shoreline, establish and maintain acceptable fish and wildlife habitats, and help meet the recreational needs of the general public. The Management Plan became the subject of controversy because adjacent lakeshore landowners were being required to improve their property to meet the standards established by the Corps of Engineers. The plan sought to achieve a balance between the needs of these landowners while at the same time promoting a safe, healthful use of the lakeshore for recreational purposes.50 The Hartwell Plan which was revised and updated in 1989 after another series of public meetings and workshops held in September 1988, provided a set of maps of the entire lake, pinpointing areas where private mooring facilities(eg. boat docks) were permitted as well as areas where docks were in a "grandfather" status. It also gave basic information on requirements for the construction of mooring facilities and those permits or licenses required by landowners for any facilities placed on government property.51 Information on activities such as mowing and underbrushing was also provided in the Plan.52 The Hartwell Shoreline Management Plan was again revised and updated in 1998. During construction, the Hartwell project was seriously challenged on only two occasions. The first instance was in August 1956 when Mrs. Eliza Brock and her daughter refused to allow workmen to come onto their property to begin clearing for the reservoir area. The controversy involved 103 acres of land that reverted to government ownership on 21 June 1956 when a formal "declaration of taking" was filed by the Corps of Engineers. Apparently, Mrs. Brock never received an offer for her land and therefore refused to allow government workers on the property. She and her daughter used a rifle to hold off contractors until a court order was served on 27 September. After delaying timber cutting procedures for more than a month, the 78-year-old Mrs. Brock settled the issue out of court and accepted the Government's offer of $6,850 for her property. The second challenge to the Hartwell project came in late 1956 when Clemson College objected to the damage that would be done to its property as a result of the impounded water in the reservoir. Correspondence between the Corps of Engineers and Clemson relating to the construction of the Hartwell project and its effect on the college began as early as 1949. In addition, representatives of the college and the Corps held numerous meetings prior to 1956. At a 16 December 1952 meeting in the office of DL Robert F. Poole, president of the college, a proposed plan for the Clemson College area was presented to college officials. In a letter of 5 July 1955, the Corps furnished the vice chairman of the Board of Trustees of the school with information on plans for acquisition, relocation, and protection of facilities in the Clemson area. This information was substantially the same as presented to the college officials in December 1952.57 The Board of Trustees then pledged their cooperation in the Hartwell project.58 By 1956 DL Robert E. Edwards had assumed the presidency of Clemson College, and on 29 June 1956 the chairman of the Hartwell Dam Subcommittee of the Board of Trustees transmitted to the Savannah District a report compiled by a private engineering firm on the Hartwell project as related to Clemson College. Based on this report, three plans were proposed by the board for the protection of school holdings. In order of preference, these plans proposed the following: lowering the power pool from 660 feet to 610 feet; diverting the Seneca River around the endangered college property to prevent the anticipated flooding; or compensation for college lands and facilities that would be affected by the impounded waters. The Corps proceeded in anticipation of reaching agreement on the basis of the third plan until December 1956, when the Clemson trustees declared the land irreplaceable and the damage that would be done to the college irreparable. Following the claims made by Clemson of irreparable damage resulting from construction of the Hartwell project, and the support which these claims received from the U.S. Department of Agriculture, construction on the project was halted pending further investigation. The Chief of Engineers attended a meeting at Clemson College on 20 December 1956 and subsequently requested authority from the Public Works committees of both the Senate and the House to restudy the project. Following the authorization, the Corps did a restudy during the early months of 1957. One curious circumstance that surfaced during the restudy was the fact that the Department of Agriculture had conveyed more than 7,600 acres of bottom land along the Seneca River to the college for the payment of one dollar in December 1954, more than four years after the authorization of the Hartwell project. This had been done without the knowledge of the Department of Army. In December 1956, the Department of Agriculture declared that the damage to this land “would be so great as to cast serious doubt on the economic feasibility of the project. "60 Following the restudy it was concluded that redesigning the project with a power pool of 610 feet would be economically unfeasible and that the only alternative was to provide for the diversion of the Seneca River so that impounded waters would pose no threat to the Clemson College lands. On the basis of this revised project, work was resumed in 1957 and completed in December 1963. The two diversion dams built in the vicinity of Clemson College in 1961 to rechannel the Seneca River and protect valuable school facilities were constructed of random earth fill raised on alluvial soil. Seepage on the dry or protected side of the structures required numerous repairs over the years, so in 1982 steps were taken to solve the problems permanently. The solution involved constructing concrete cutoff walls within the existing earthen dams using slurry wall panel method. This technique, borrowed from an earlier construction method used at the West Point project, involved excavating a trench along the entire length of each of the earthen dams and filling the trenches with a soupy masonry mixture that, when hardened, formed a relatively impervious concrete wall. Work on the lower diversion dam at Clemson was completed in December 1982, and seepage was reduced to the level anticipated. Work on the upper dam began in June 1983 and was completed in June 1984, well ahead of schedule. The Hartwell region abounds in historical lore, much of it inherited from the Cherokee Indians who once roamed here and from the early settlers who pioneered the area. Many local streams, rivers and recreation areas bear colorful Indian names. Some streams allegedly were named by Issaqueena, a young Indian maiden who rode to Fort Ninety-Six to warn settlers of an impending attack. On her journey, she marked her travel by naming the streams that she encountered for the number of miles she had covered. The story of Issaqueena accounts for the names of Six-Mile, Twelve-Mile, Twenty-Three Mile and Twenty-Six Mile creeks which are part of the lake today. Before and during the Revolutionary War, the region was a hotbed of anti-British activity. Nancy Hart, for whom Hart County, Ga., Hartwell, Ga., and Hartwell Dam and Lake subsequently were named, was renowned for her heroic exploits on behalf of the Patriot cause. Other historic figures who lived in the immediate region of Hartwell Lake were Andrew Pickens and John C. Calhoun, both eminent Statesmen from South Carolina. Also, William Bartram, foremost botanist in the late 1700's, traveled the region which is Hartwell Lake today, recording vegetation types and plant species and noting his observations on the Indians in his Travels.